When a fearless and subversive investigative journalist falls to her death from a sixth-floor window in Moscow, most people are ready to dismiss the case as a suicide. Maybe it was. Maybe it wasn't. These things happen in new Russia and it's often best to avoid extra paperwork or attention. But investigator Arkady Renko doesn't see it that way. The same relentlessly inquisitive nature that made him an iconic investigator in contemporary fiction drives him to dig deeper. And it doesn't take long for him to find a series of audio tapes left behind by Tatiana. The tapes don't necessarily contain any hard evidence, but they do offer Renko something else. He is transfixed by her voice as much as several horrific crimes that contradict the Kremlin. Tatiana was clearly working to uncover something that no one would want anyone to know. An investigator procedural in a new and different Russia. Just as capitalism always risks descending into cronyism, so does communism. At least this holds true in Martin Cruz Smith's new Arkady Renko novel. The Soviet Union may no longer exist, but the new Russian Federation hasn't ushered in a new era of comfort and prosperity either. As such, the environment can be even more treacherous for journalists who know too much. While the Russian Mafia may be motivated by different goals than their former Soviet counterparts, they can be equally dangerous to reporters as evidenced by Anna Politkovskaya in 2006. Tatiana seems loosely based on Politkovskaya, except there was no question as to whether or not Politkovskaya was murdered. She was found dead near her apartment; shot twice in the chest, once in the shoulder, and once in the head. The questionable circumstances for Tatiana, on the other hand, only serve to create another layer of resistance for Renko. While he thinks there is a connection between her death and the murder of a mob billionaire, nobody is interested (with the exception of his friend Det. Sgt. Victor Orlov). Calling her death a suicide and closing the case is easier, safer, and keeps the intended message intact. People who dig sometimes dig their own graves, including investigators. The investigation introduces a new Russia to Renko as much as readers. 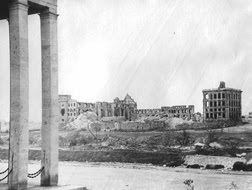 Undeterred, Renko finds himself traveling to Kaliningrad, a Cold War “secret city” that became home to the Baltic Fleet in the 1950s after former German and Polish citizens were displaced. In 1991, after the collapse of the Soviet Union, this same city became an enclave isolated from the rest of Russia. In the novel, it not only has the highest crime rate in Russia, but it also becomes a metaphor for its post-Soviet life. It's here that Renko learns more about Tatiana’s past and what she believed would become the fate of Russia's future. He does so slowly while simultaneously attempting to find out why a translator who happened to be in touch with Tatiana was plucked from the beach in Kaliningrad. The only thing left of the man after he was abducted was a notebook filled with designs, stars and pictographs. Presumably, only the translator could read it. So even though Renko knows it could hold the key to his case, he can't easily decipher it. A few graphs about author Martin Cruz Smith. The son of a jazz musician and nightclub singer who met at the 1939 World's Fair, Matin Cruz Smith was destined to move around as a child. 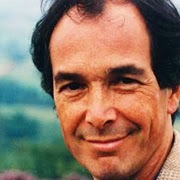 Eventually, he pursued a degree in creative writing and became a journalist after graduating from the University of Pennsylvania, Philadelphia. He began writing fiction in the 1970s and has visited Russia several times for source material. He visited often enough that the Soviet Union eventually listed him among agents and provocateurs that citizens should avoid. He has written dozens of books, but his best known was the introduction of Renko in Gorky Park, which became one of the most talked about thrillers of the 1980s. 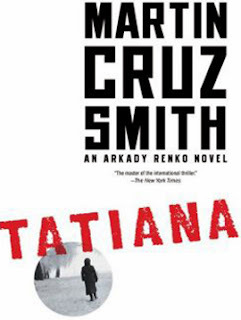 Tatiana By Martin Cruz Smith Plots 6.4 On The Liquid Hip Richter Scale. While it isn't his best Renko story, Tatiana has all the precision of an unflinching espionage mystery-thriller. And what seems to make it work is that Renko attempts to follow in Tatiana's footsteps, adding his own investigative broodiness to her accounting of coverups and corruption. You can find Tatiana by Martin Cruz Smith on Amazon. The novel is also available from Barnes & Noble or can be downloaded for iBooks. The audiobook on iTunes is narrated by Henry Strozier, who lends an old world tone to story.